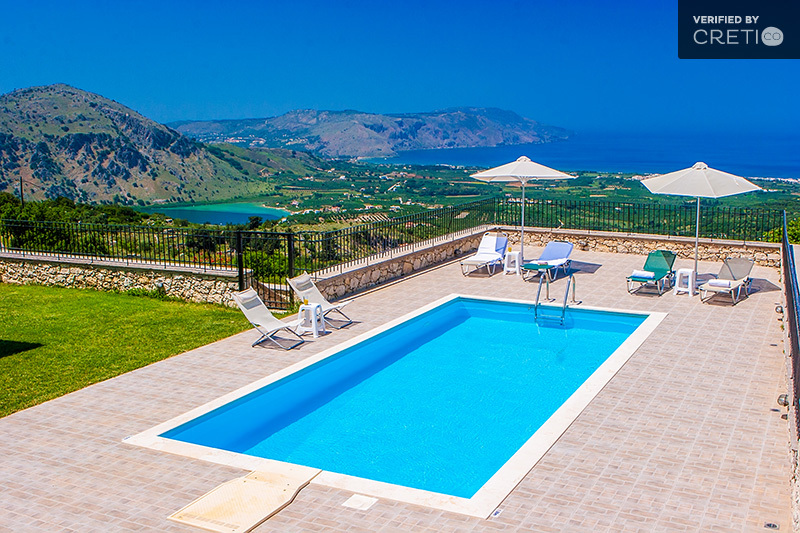 Kournas in Chania Crete, is a beautiful traditional village located 8 km from Georgioupolis and 4 km from Kournas Lake. If you visit the lake, it is worth driving 15 more minutes to the narrow uphill road in order to visit the village. 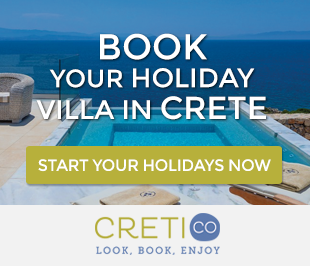 Despite the fact that the area around the lake is a touristic place, the village is completely unaffected by tourism and like many other traditional villages in Crete, it can take you back to another era. In the village live about 500 permanent residents and it is located at an altitude of 200 meters at the foot of the mountain “Dafnomadara”. 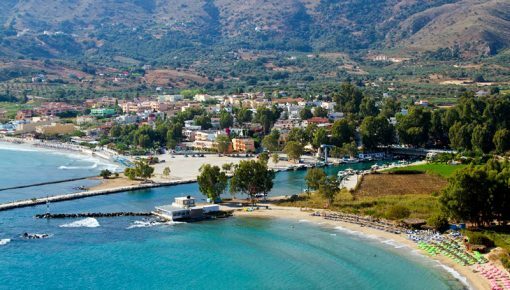 This place began to flourish from the 16th century and its name has been connected with many battles for the Greeks liberation during the Turkish conquest. The old houses, the old plaza of the village, the ceramic workshop opposite the cafe and the tavern of Mr. Agapinakis “Kali Kardia” (good heart) with its great salads and its tasteful meat are some of the first things that somebody observes once he reaches Kournas. 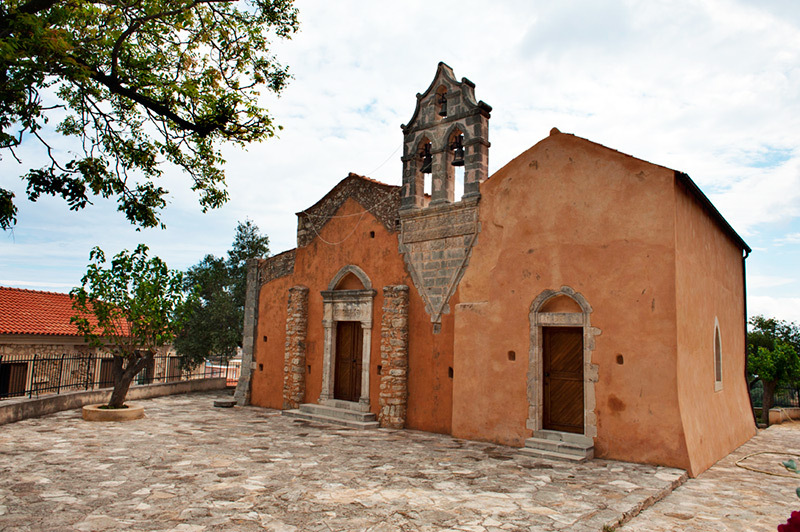 You can also visit the church of Agios Georgios (Saint George) at the right side of the plaza which was built in the Byzantine period. In addition to the celebration of Saint George, there are two other festivals in Kournas: the first is on the 16th of August, organized by the cultural association of Kournas and the other one is on the 29th of August in honor of Saint John the Baptist. Between the village and the lake, there is the beautiful cave with a great view to the lake. The cave is small but you will be impressed by the stalactites and stalagmites inside. The lake which is located 4 km from Giorgioupolis, between the hills, is ideal for an afternoon walk or a picnic, swimming and pedalo. The landscape is beautiful and relaxing and you will see many protected pieces, as the lake is protected by Natura 2000. In the end of the summer, the water level is reduced, shaping some coves with white sand. In these months, somebody can walk on the shore around the lake. It is worth visiting the taverns which offer local Cretan recipes made of pure Cretan products. Around the lake, as well as in the village, there are many holiday villas with private pools, most of them offering a wonderful view to the lake. 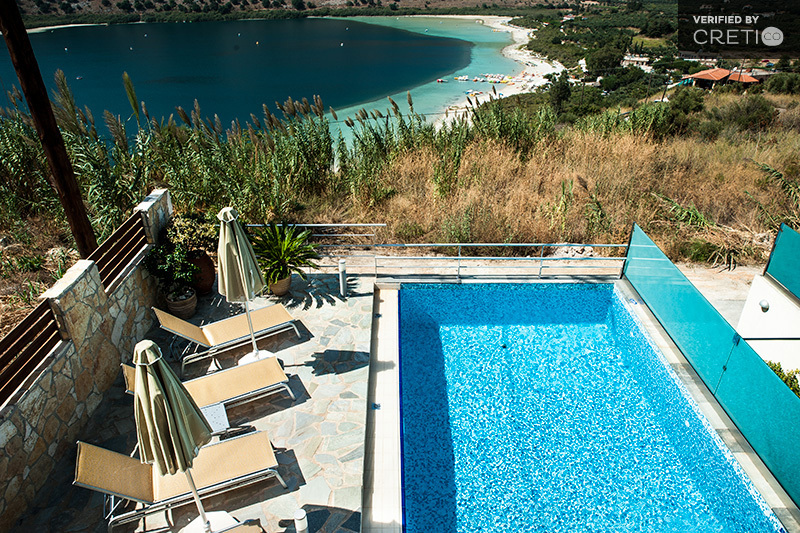 The pool villas in Kournas are usually stone-made, in a traditional style and are suitable also for winter holidays, as the view they offer is unique even in winter. 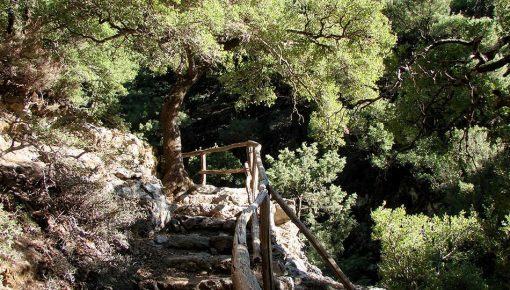 Visiting the natural Kournas lake is one of the 10 things you should do on Crete holidays! Posted on 27 Sep 2014 in Chania and tagged Kournas Lake.